Please note : Due to Easter weekend, Autofair will be Closing @ 14h00 this Sunday. Thanks to serious buyers and sellers like you, between 70 and 90 of the more than 250 vehicles displayed at out Menlyn Retail Park (Pretoria) branch are sold every Sunday. 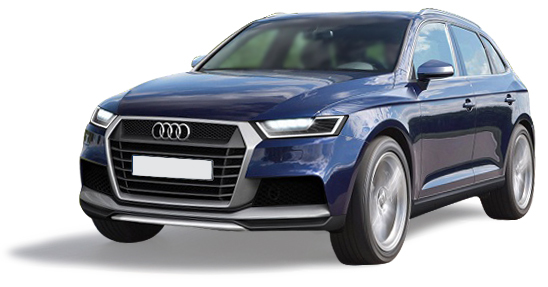 Autofair Vehicle Market can offer you the best private deals in South Africa. Every Sunday at Menlyn Retail Park 07h30 - 16h00. On average 20% - 30% of the R28 million worth of vehicles displayed are sold every Sunday. Vehicle sold within half an hour of parking, thank you for coming... boom! Thank you for the great opportunity you are setting for buyers as well as sellers. Sold my first car on the first day of visiting Autofair in 1999. Today, 17 years later again, I drove all the way from the East Rand to sell a car, without disappointment. The car was sold again on the first day of visiting Autofair! Much appreciated! No sooner had I paid my entrance fee and been directed to a shady parking spot (where I expected to spend the rest of the day) and the vehicle had sold itself! Now I wonder if I asked too little... No, seriously, I am well satisfied. I received my asking price and have been allowed to continue using the vehicle until the end of the month. Thank you Autofair. Just want to say THANKS! I sold my Opel Corsa Lite 2007 within 4 1/2 hours on Sunday! Very happy! Awesome place. Sold my cars on the same day. Highly recommended. We sold our vehicle within a week of visiting Autofair for R20,000 more than any garage offered us as a trade-in. Quick and convenient! This is just a quick note to thank you for the service you render - it really makes it simple, easy and completely effortless to sell a vehicle for a good price in a secure environment. Yesterday I parked my vehicle at Menlyn Retail Park - this was my first encounter with selling a vehicle and you guys made it easier than I thought it could be. Thanks to all you people at Autofair! Sold my bakkie in 30 minutes! Keep up the good work. I remember how quick & easy it was to sell my 1st car...the service was reliable & very professional! I sold my car on Sunday through parking my vehicle at your display area. It was sold within five minutes, which amazed me completely and I was very impressed. We got the price we wanted. All in all an awesome experience! Stephan Steyn18th July 2018 To the Autofair team, Thank you for the great platform you’ve created and the professional manner in which things are done. My VW Scirocco was on show there on Sunday and sold it the same day. Thank you once again. I just want to thank all the friendly staff at Autofair. I received great service from the first call. My vehicle was sold within one week after displaying it at Autofair Menlyn Retail Park. I will definitely recommend Autofair to other people. Just a word of thanks - came two weeks in a row and sold my vehicle on the first week, and sold my daughter's vehicle on the second week! Thank you to all the AutoFair staff for every week organizing, setting up the display area and always being so helpful with us the motor vehicle exhibitors. I would like to use this opportunity to express my sincere appreciation for Autofair, as their officials were very professional and helpful yesterday (Sunday). You have really created a very effective platform for selling vehicles, quick and easy. The car was sold within 3 hours yesterday and I had numerous calls still today (Monday), based on the website advertisement. Vehicle was sold late this afternoon. I would like to thank you for the great service. This has been the 4th vehicle I sold at Autofair, will recommend you to anyone. Thanks to the professional setup at Autofair I managed to sell my vehicle on Sunday within 5 minutes of parking it. I will definitely make use of your service again and recommend you to anyone that needs to sell a vehicle. Thank you Autofair! Ek en my vriendin het gehoor van die Autofair en een Sondag deur gery van Warmbad om dit te gaan probeer. Ons het skaars ingery toe ons haar kar verkoop, binne 5 min, kontant in die hand! Dit was ongelooflik en ons het al n paar vriende verwys soontoe. I sold two cars with them one on 2002 via a walk thru and in 2006, it was bought via their website. I sold my car in under 10 minutes from ariving there. Everyone was friendly, professional and accommodating. I would recommend them to anyone. Thanks Autofair!